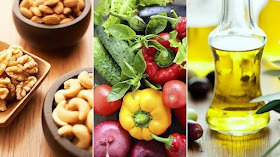 Choosing a healthy diet, low in saturated fat is important in helping to keep your cholesterol (this is a fat-like substance that's found in all the cells in your body) low. However, you can reduce your cholesterol levels further by including these foods shared by Jumia Food in your everyday diet. Beans is especially rich in soluble fibre. It takes a while for the body to digest, meaning you feel full for longer after a meal. That's one reason beans is a useful food for persons who want to lose weight. Oats are considered to be one of the best cholesterol-lowering foods on the planet. These contain soluble fibres which reduce cholesterol levels and prevent heart diseases.